​Tottenham Hotspur have revealed that both Harry Winks and Jan Vertonghen will face late fitness tests ahead of Saturday's North London derby with rivals Arsenal. The pair have both been struggling with hip injuries, with Vertonghen missing the 2-0 defeat to Chelsea on Wednesday. Winks played the entire 90 minutes of the match, although complained of discomfort in his hip following the match. In a post on their ​official website, ​Tottenham revealed that the pair are set for late examinations in the hope of featuring against the Gunners on Saturday. They also posted updates on the fitness of both ​Dele Alli and ​Eric Dier, writing: "In other team news, Dele Alli (hamstring) is in the late stages of his rehabilitation while Eric Dier (tonsillitis) is building up his conditioning following his illness." Alli has missed Tottenham's last five ​Premier League games after picking up his injury, and was forced to watch as the team were eliminated from both the FA Cup and Carabao Cup at the hands of ​Crystal Palace and ​Chelsea respectively. As for Dier, illness has sidelined him since early February, with Mauricio Pochettino instead handing the likes of Winks and Moussa Sissoko several chances to impress in the first team. Defeats to both Chelsea and ​Burnley have left Tottenham nine points behind league leaders Liverpool, prompting ​Mauricio Pochettino to concede defeat in the race for the Premier League title. His focus will now have shifted to securing a top four finish. 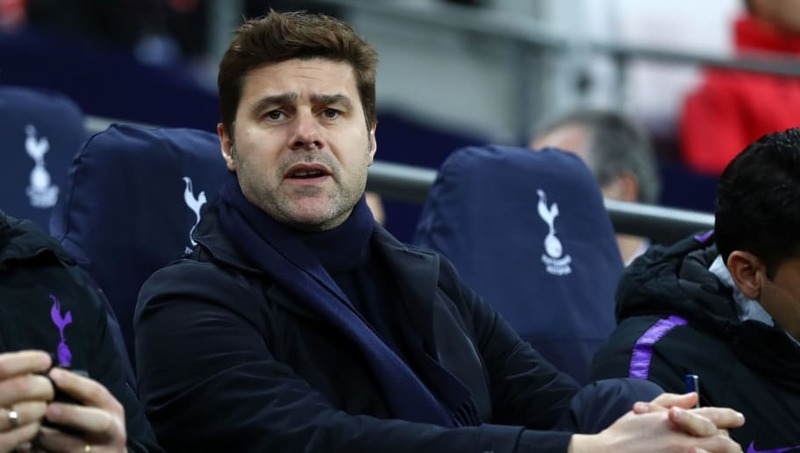 Before the two consecutive defeats, Tottenham boasted a ten point lead over rivals ​Arsenal, but a string of poor results has seen their top four status come into question. Should Tottenham lose against Arsenal on Saturday, the Gunners will move just one point behind third-placed Tottenham, with the likes of ​Manchester United and Chelsea close behind in the race for Champions League qualification.